M.R. Renukumar is a poet, painter and translator. With a M.Phil. in economics, his day job is with the State Audit Department in Kottayam. He has published three collections of poetry: Keninilangail (In marshy lands, 2005), Veshakkaya (The fruit of knowledge, 2007) and Pachakkuppi (Green bottle, 2011). 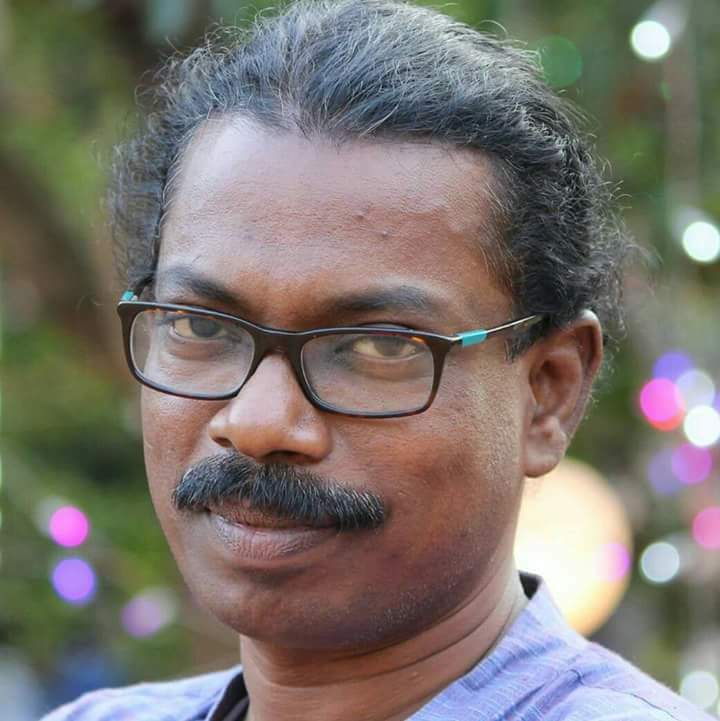 His other works include Naalaam classile varaal (Snakehead fish in the fourth standard, 2008), Poykayil Yohannan (2009, biography of the activist, poet and socio-religious reformer of the same name), and a book of essays and reminiscences, Muzhusooryanaakaanulla shramangal (Attempts to be a full blown sun, 2013). He has translated the graphic biography of B.R. Ambedkar, Bhimayana: Experiences of Untouchability, from English into Malayalam (2014). He is editor of the volume Don’t Want Caste: Malayalam Stories by Dalit Writers (2017).